Comodoro Arturo Merino Benítez International Airport is Chile’s largest airport by far and sits outside its capital city Santiago. Comfortable travel in Chile costs near to $50 a day, though particularly stringent backpackers could probably get by on half that. Though Chile’s peak season occurs during its summer (November – May), travel during winter in Chile isn’t that uncommon. Expect temperatures between -1˚C and 10˚C (30-50˚F) during the winter, with summers being roughly 15˚C (40˚F) warmer. Handmade jewelry, statuettes, dyed cloths and colourful knick-knacks are the common Chilean souvenirs. Chile occupies an extremely long, yet very narrow strip of land along the southwestern coastline of South America. Essentially, Chile is the Pacific Ocean coastline plus one hundred or so miles for all of the southern half of South America. This means the country is well-versed in coastal living. Seafood abounds, and in general Chile exudes an amiable, warm vibe. For this reason (among others), the country has become a popular travel destination in South America. Most Chileans live in central Chile in either Santiago or one of the other cities along la Ruta 5, though there are some populous areas in northern Chile. Southern Chile is barely inhabited; this area, along with the neighbouring lands in Argentina, make up Patagonia. This remote wilderness is widely considered one of the most remote yet gorgeous places on the planet, and not surprisingly draws many travelers to the country. Note that there are no major roads going directly to Chile’s extreme southern tip, which contains some of its most beautiful landscapes. 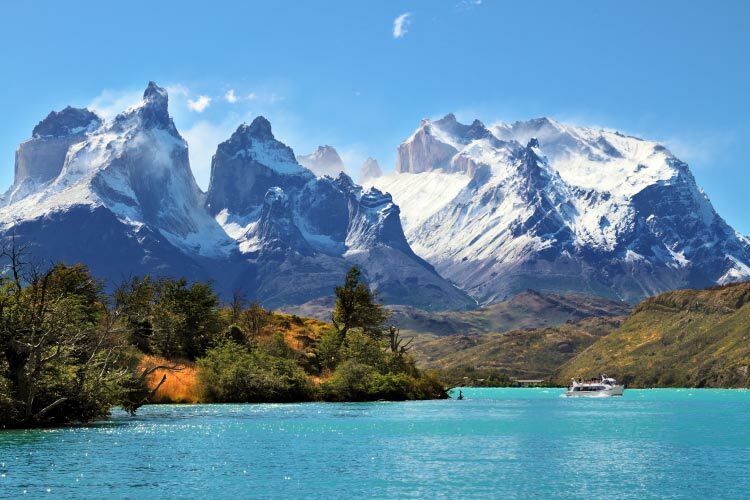 Travelers will need to cross into Argentina for a few hundred miles then come back into Chile to access Torres del Paine National Park and the other sites of extreme southern Chile. Chilean history can be roughly broken into three periods: pre-European, Spanish colonial rule, and modern Chile. Though the Incan people controlled some of Northern Chile, the Mapuche are generally considered to be Chile’s indigenous peoples. They held the land for many thousands of years and developed an advanced culture. In the early 1500s, Spanish colonial forces began to search the country for gold, and took control over the nation in 1541. Though they never found any substantial gold deposits, it would take until 1818 before Chile earned its true independence. During the next century, Chile was largely successful at expanding its borders to their present state, as well as controlling the Strait of Magellan. It has remained a democracy at times, though its political history has had some tension. The country experienced a military coup in the 1970s, which has since been confirmed as being orchestrated by the United States. This began the Pinochet Era, which at first was marked by widespread terror and human rights violations. However, the 1980s saw reform, and today Chile enjoys a stable government and a prosperous economy. 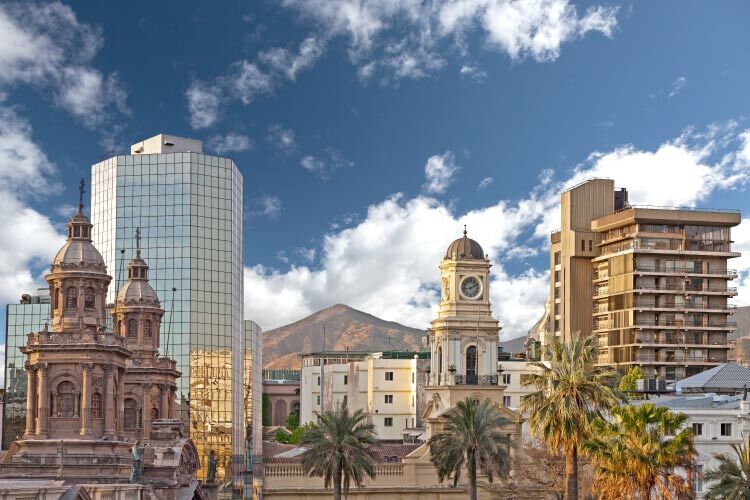 Most travelers in Chile will pass through Santiago at some point. The capital city is by far Chile’s largest, and nearly all of its international flights pass through its airport. Santiago is well known for its progressive attitude and general artsy feel. The music scene in Santiago is thriving, especially its jazz scene. Plaza de Armes is the city’s central point, with the national cathedral and other administrative buildings. One can also visit the presidential palace, La Moneda, for free. Beneath La Moneda is an underground art and culture museum called Centro Cultural Palacio de La Moneda that’s definitely worth a visit. 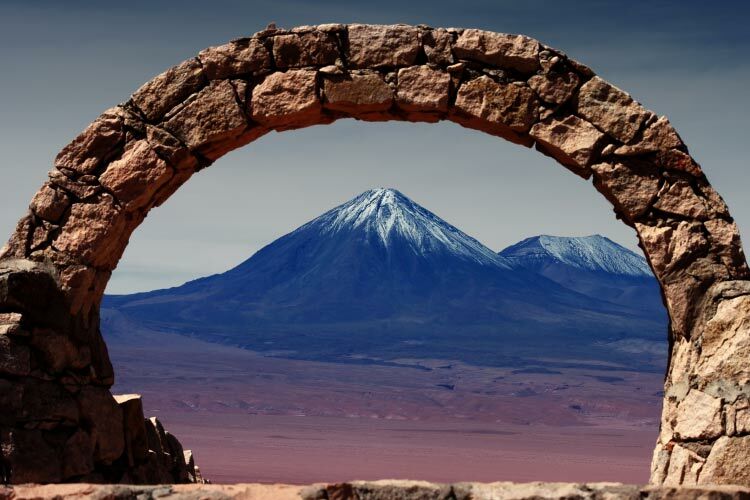 Much of Chile lies in the Andes Mountains, the largest mountain range in South America. 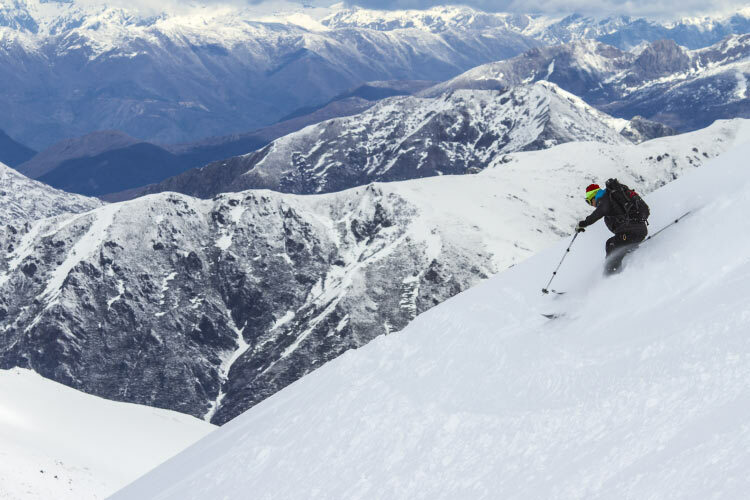 This is fortunate for travelers, as it means that Chile has numerous world class ski resorts. Nevados de Chillan is considered one of the top resorts in Chile. All of the skiing and snowboarding at Nevados de Chillan occurs on the banks of a volcano. Because of eruptions and lava, the terrain has been altered such that many interesting routes down the volcano exist. There are also a number of hot springs around Nevados de Chillan, and a number of people come to the resort to relax in the spas and hot springs without ever hitting the slopes. However, we absolutely recommend travelers both ski and soak! As we’ve already mentioned, southern Chile makes up a portion of Patagonia, one of the most popular ecotourism destinations in the world. Despite its popularity, Patagonia’s vast land area makes it extremely easy to find oneself surrounded by pure wild with absolutely no trace of civilization. Torres del Paine National Park is one of the best areas of extreme southern Chile to visit. This park features glaciers and mountains, as well as plentiful water. It became famous when National Geographic ranked it their fifth most beautiful location in the world. 1. Antofagasta is one of the more populated cities in northern Chile. Explore the harbour, being sure to buy some fresh seafood. 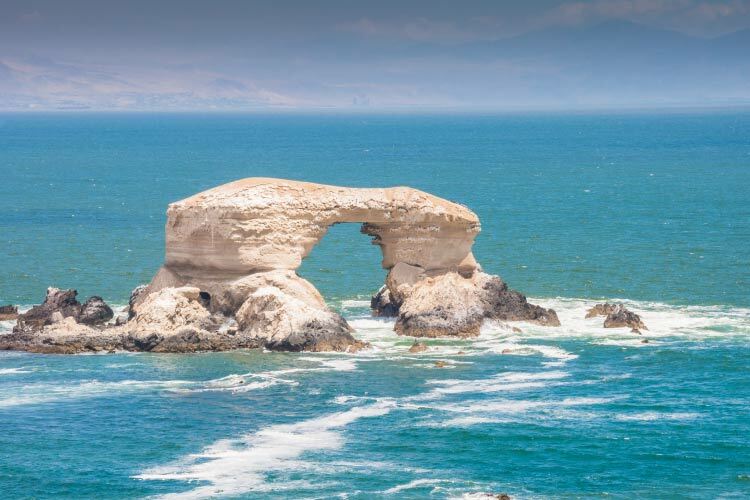 Then, head out of the city to Monument Natural La Portada, a fossil-rich coastal park with La Portada (pictured below), a massive natural stone arch in the sea. 2. A stroll though the coastal city of Valparaíso is always lovely, particularly amongst the colourful homes near the city’s centre. The city’s unconventional, artsy flair rears its head most strongly in the many public art exhibits and in the nightlife. Reñaca Beach is quite close to Valparaíso and is an extremely popular day trip. The adjacent town of Reñaca is also quite charming, if touristy. 3. Visit La Moneda, the presidential palace in Santiago. Then, head underground to the Centro Cultural de Palacio de la Moneda to see the best of modern Chilean art. Nearby Plazade Armes also contains a handful of historic sights. For a classy evening, enjoy a glass of local Chilean wine at one of the city’s many jazz clubs. 4. Though skiing and snowboarding is definitely the focus of the Nevados de Chillan resort, there’s lots more for travelers to do. For instance, one could relax in the hot springs, or in one of the many other spas. There’s also hiking and other outdoors activities available to tourists. 5. Puerto Montt is known for its conjunction between beach and mountain. The city’s coast is quite pleasant and offers numerous secluded spots. Meanwhile, the Andes mountains are clearly visible, and hiking is a must-do while in Puerto Montt. The city is also known for its wine and local foods. 6. Though there’s not much else to do at Torres del Paine National Park besides hike, simply walking through this gorgeous natural area should keep travelers occupied for days. Hiking destinations include mountains, glaciers, and lakes. Torres del Paine is only one of eleven adjacent national parks and reserves in southern Chile, all of which have unique natural attractions. 7. Punta Arenas is located in the far southern portion of Chile. La Cruz is a hill near the city that offers great views. The city also contains a number of quality museums, including the fantastic Museo del Recuerdo. 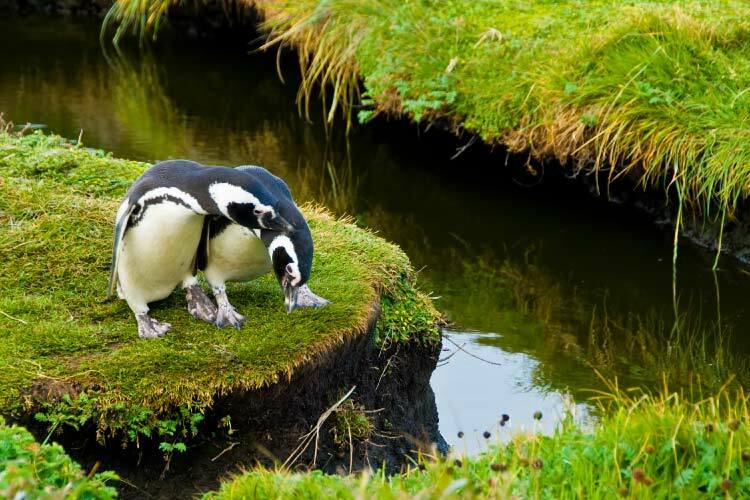 Near the city sits Isla Magdalena, an island that’s home to large penguin colony. Nearby Rey Jorge Island Natural Sea Park is a great place to catch a glimpse of wild whales.